The Fantom Drives professional Quad is the #1 choice for creative professionals who demand maximum performance, reliability, and most connectivity options for Maximal flexibility, handling multiple demanding professional tasks with equal aplomb. Featuring a sturdy brushed Black aluminum casing for maximum durability, a fan-free design for virtually silent operation and can be stored horizontally or vertically to optimize your work space, the Fantom Drives professional offers reliable storage expansion from your limited built-in hard drive so you can store all of your valuable data and digital memories. 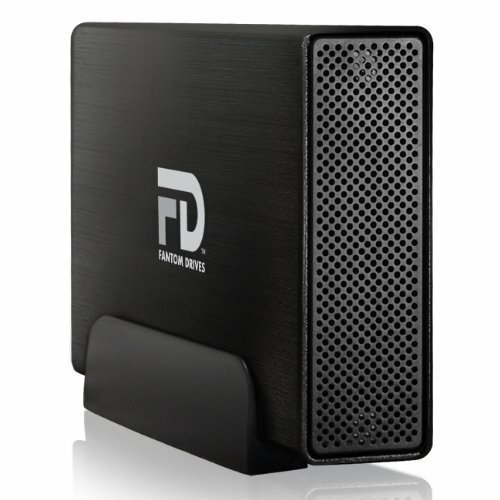 Utilizing the fastest available 7200RPM disk mechanisms ensures that the Fantom Drives professional disk will easily handle the most demanding audio and video applications.